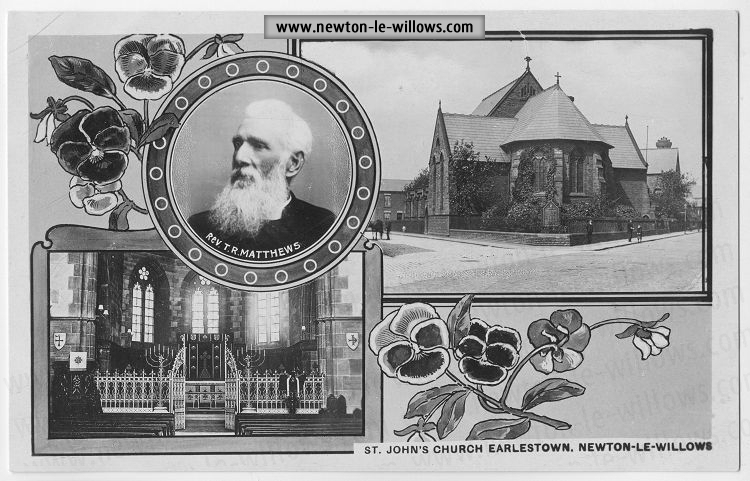 And now let us take a walk round Earlestown and Newton and see what it was like about 1890. 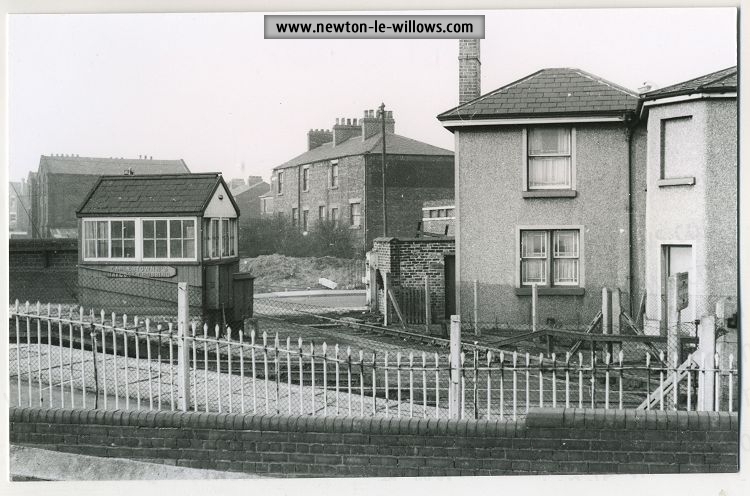 Immediately to the left of Earlestown Station was a large open space where the shops now stand and which was a common playground for the youth of the neighbourhood. 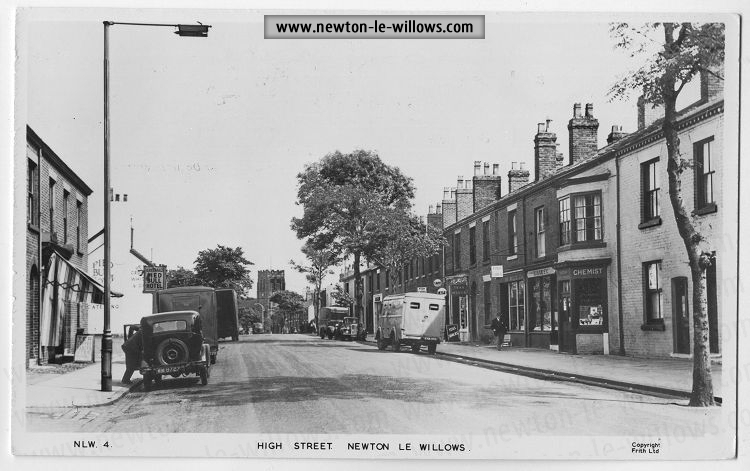 That side of the street has changed very little, except that the shops at the top have all been altered and had new fronts put in to meet changed conditions. On the other side, starting at the bottom, there was Mr. Attfields wine store and next door was a tobacconist and newsagent. 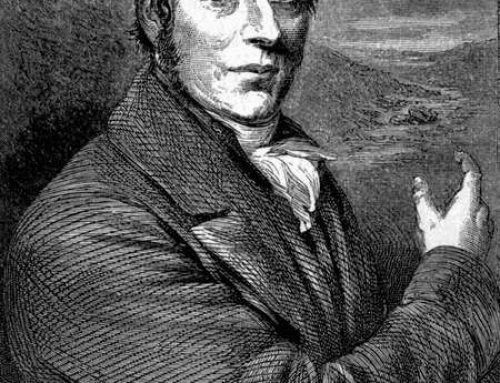 Then right up to Mr. Peakes, the chemists, were dwelling-houses. The rest of the street has changed very little. 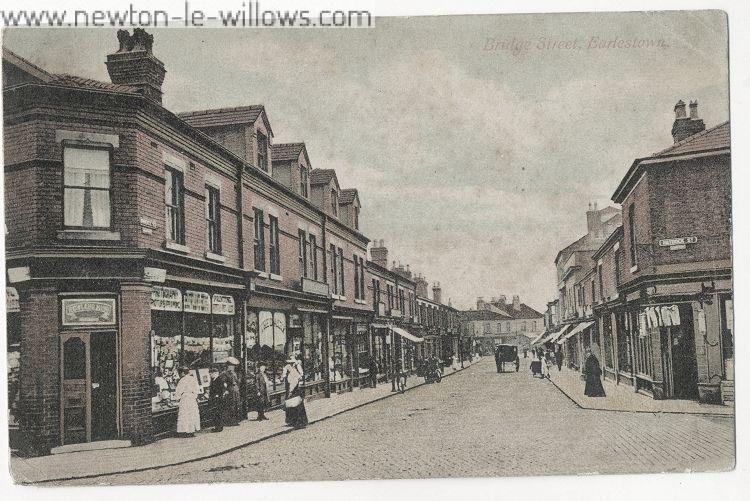 In Bridge Street , the left-hand side, going towards Cross Lane , has undergone much change as the businesses carried on have all changed and the shops have been altered accordingly. The “Guardian” Office, although the shop front has been modernized, is the only business in the street that was there at the time of which I write. It had just passed from the owner-ship of Mr. Paul Hall to Mr. Samuel Harvey, whose sons and daughter have carried it on and extended it very con­siderably ever since. The printing then was done on the premises in Bridge Street , but is now carried on at their works in Haydock Street . The right-hand side has changed very much. The shop buildings reached about half-way up, almost opposite the “Guardian” Office, and the remainder of the street was occupied by some very ancient-looking houses with three or four shops at the top. 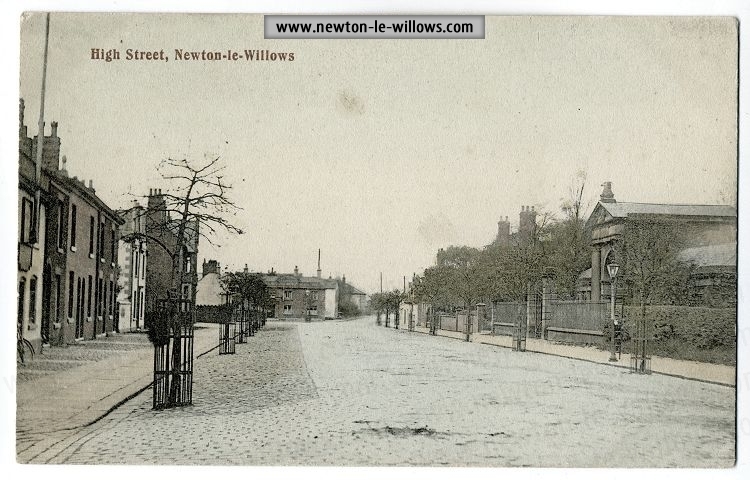 These old houses stood well back from the present footpath and were at a much lower level than the street. 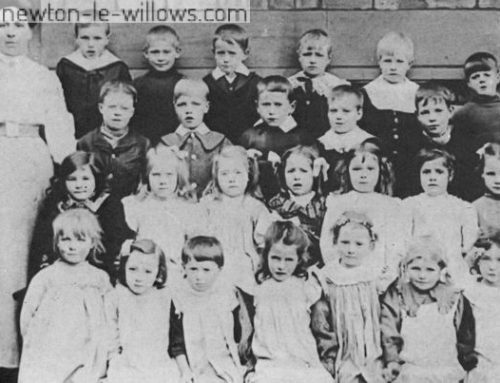 They were known as “Workhouse Row,” having formerly been almshouses. 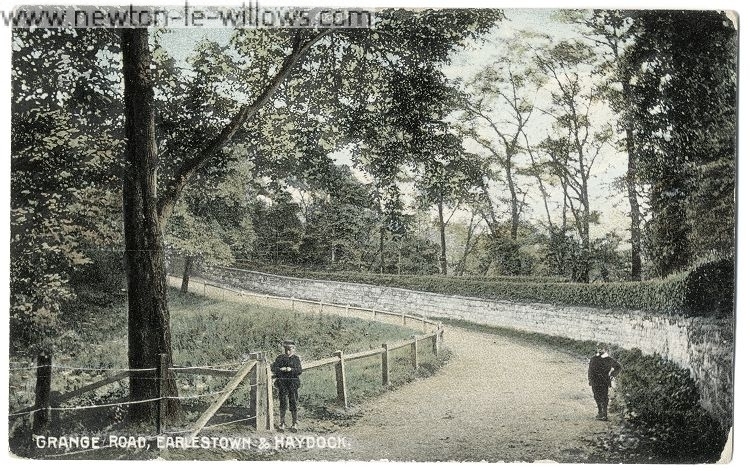 From the top or King Street, looking into Haydock Street, the only houses to be seen were those reaching as far as “Stainer House, which had not then been built. The remainder of the street, past the Market, was fields. 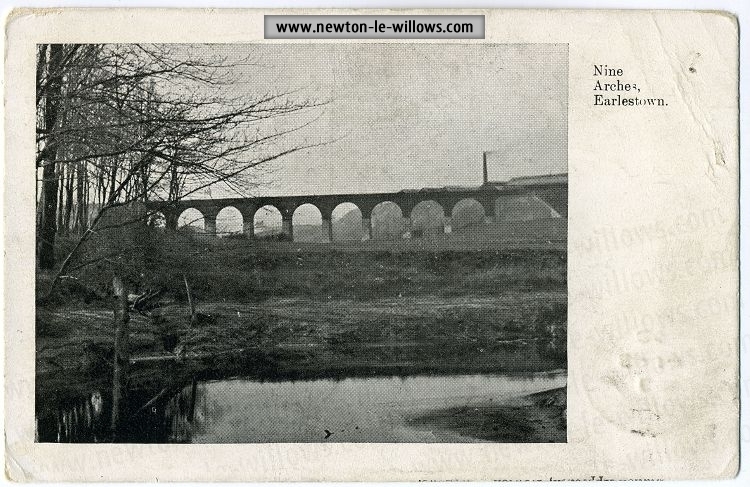 To the right, looking down King Street, all that was to be seen was a field on the left-hand side reaching to the bottom, with one solitary white cottage standing about half-way down by the side of the railway line, with the front looking towards Bridge Street. On the other side, starting at the bottom, there was Mr. Attfields wine store and next door was a tobacconist and newsagent. Then right up to Mr. Peakes, the chemists, were dwelling-houses. The rest of the street has changed very little. On the other side was Mr. Ben Corlets saw mill and builders yard, and Mr. Popes smithy. The remainder or that street was just a blank will enclosing the Railway Hotel Bowling Green, just where the Curzon Cinema now stands. Over the bridge in Cross Lane little-change has taken place on the left-hand side, except that the old school is no longer used for that purpose. 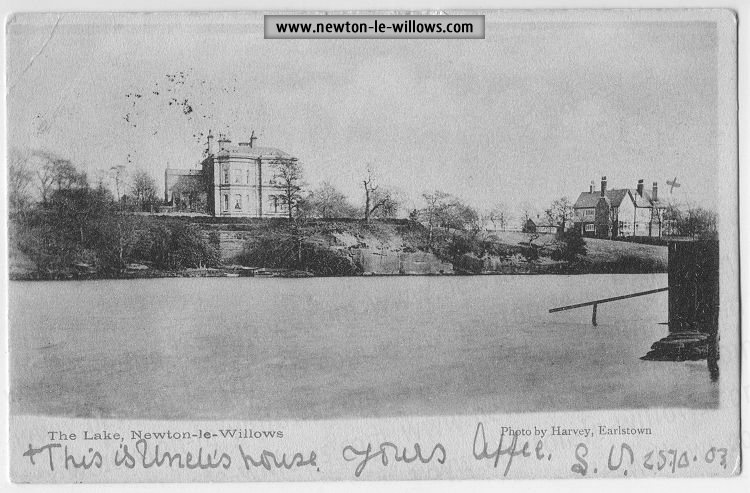 On the other side was a very fine house, originally built for a jeweller, but is now a doctors home and surgery. Then a deep depression extended from the corner of Fairclough Street to the Royal Hotel where the shops now stand. The remainder of Cross Lane has changed very little except farther down where it has been built up almost to the bottom. Now let us turn back and start again at the junction of Bridge Street and Market Street . The Rams Head Hotel has been practically rebuilt, extended and improved, and from there to the New Market Hotel the whole of the shops have been modernized and brought up to present-day require­ments. The only business on that side which has not changed hands is E. T. Evans and Sons. The present business is being carried on by the son of the founder, Mr. E. T. Evans. 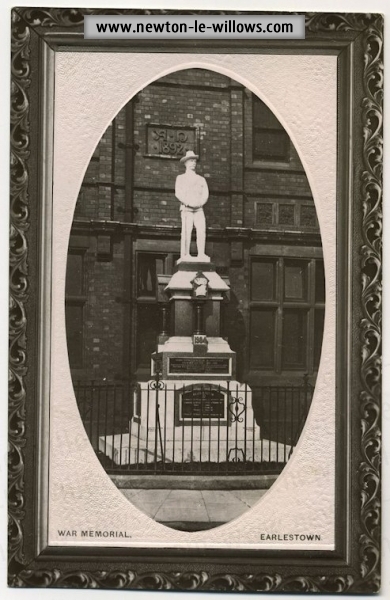 The right-hand side of the street has changed in a similar manner right up to the Market Square , where still stands the stone obelisk (or Market Cross). 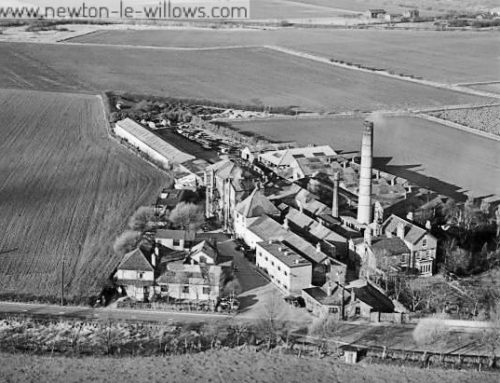 the sight of which gives pleasure and recalls happy childhood days to many who have left the town to seek work and fortune elsewhere and return to pay a brief visit. From the Market Square to the Police Station there were only three shops, two near to where the Pavilion Cinema now stands, and one next door to the Police Station. The rest of the block was made up of private dwelling-houses. On the other side from the Infant School; the District School had just been built and was opened about this time. 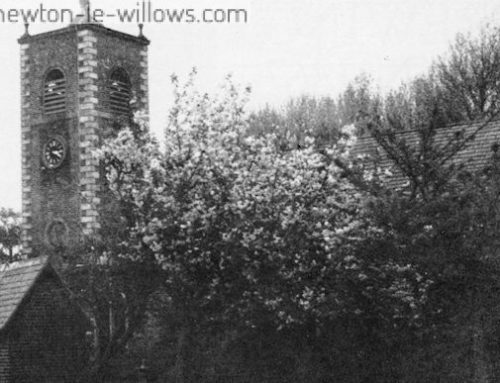 The ground on which it is built was formerly known as the “Vicars Garden. 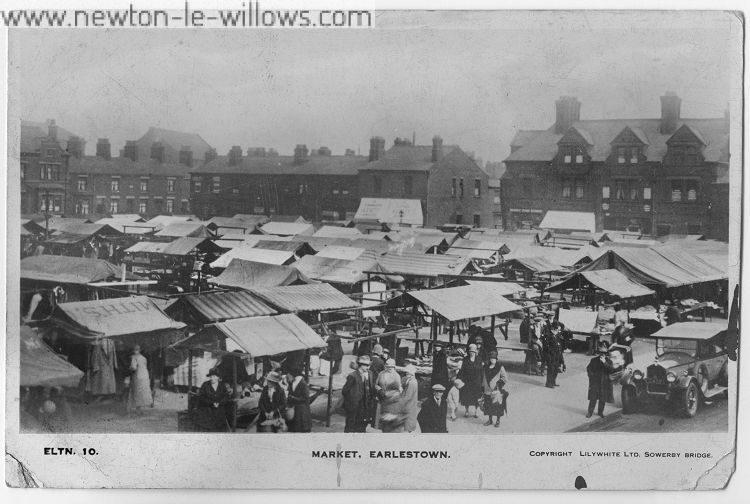 ” Beyond the, shops, which have changed very little, was a triangular-shaped piece of land where the: Town Hall now stands. This also was a. common playground for the children of the neighbourhood. 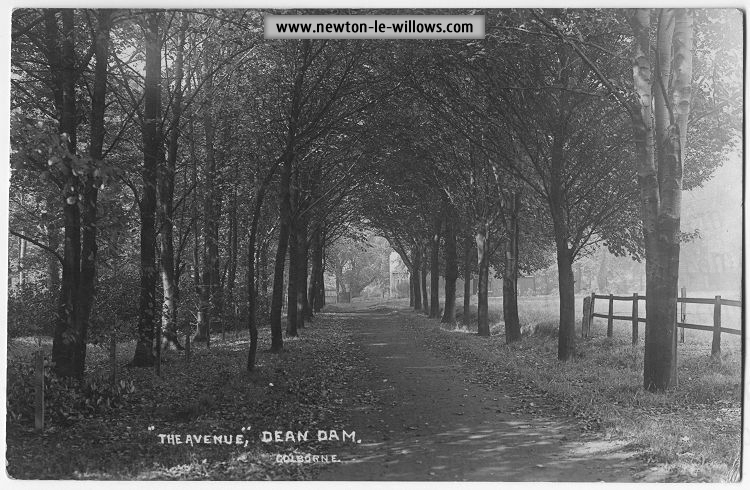 After passing St. John s Church and the Police Station there was only a few old: bay-fronted houses opposite the church, and three or four just past the Relieving Office, the remainder of the street, which was then known as the New Road, to the junction of crow Lane, had fields on both sides winch provided ample open space for football and cricket for the youth of the district. 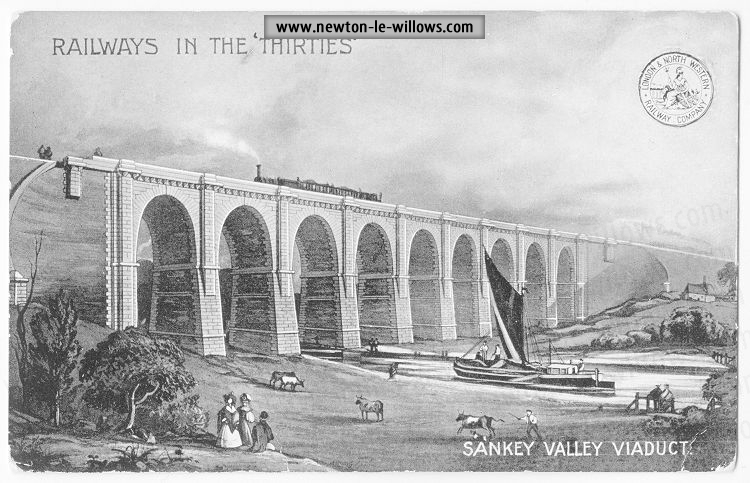 It was the usual custom, toe, for the Viaduct Band to pitch their music stands there and give a programme of music in the summer evenings. 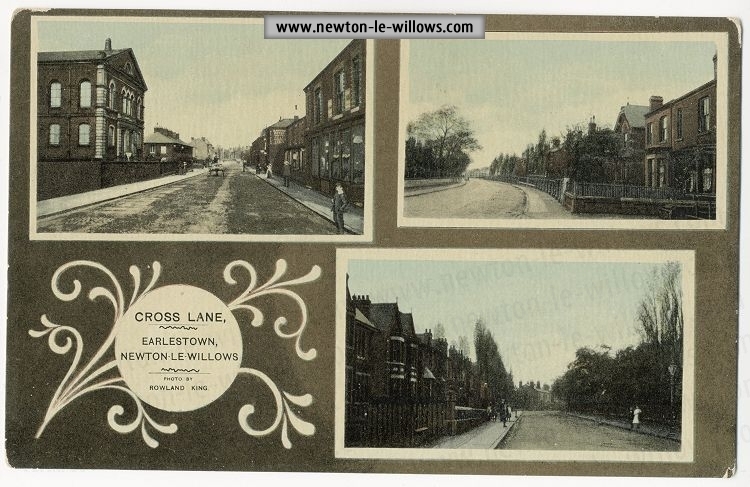 At the junction of Market Street and Crow Lane there were not many houses to be seen in either direction, yet there were a few on the left, intermixed with a few ancient white-washed houses which appeared to have been originally big farms, farm buildings and farm workers cottages. 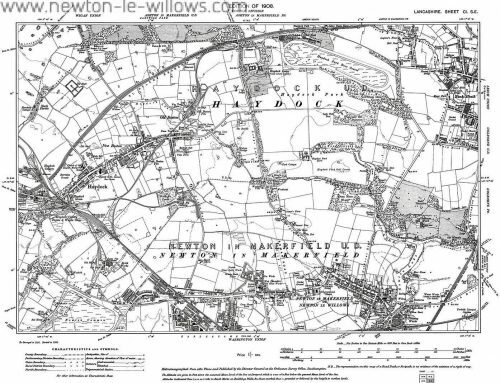 But there was no Clarence Street, Athol Street, North Street, Brunswick Road, Lyme Street, Birch Street or Cherry Street : nothing but fields between there and Haydock. Of course, the old race course and grandstands were then used for the annual race meeting about the month of August. The Swan Hotel was a favourite place for training of athletics, such as professional runners and boxers. Many a celebrated professional has been trained there for notable events. I believe that “Deer moot,? the Red Indian runner, was trained there for his hours running record which remained unbroken for many years. The Griffin Hotel on the other side is the only addition to that side up to Viaduct Street . 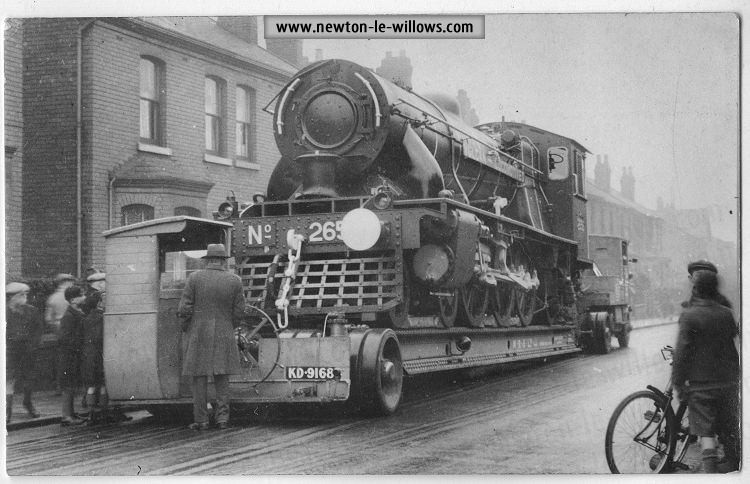 But on the left beyond the Co-operative Society premises, the railway company has built many large shops the first of which, the paint shop caused the old Griffin to be demolished and the new Griffin built. Behind Earle Street a considerable num­ber of working-class dwellings have been built since that time, Heald Street , Brick Street and Bank Street . 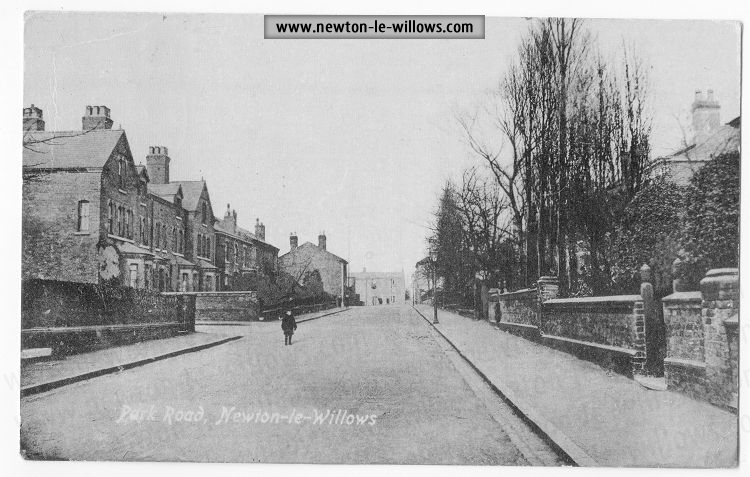 Wargrave Road from the railway crossing has changed very much all the way to the Wargrave Inn at the top of the Vulcan Brow. Streets like Rydal Street the housing estate, Hope Street . Collingwood Road and Brookfield Street have been added besides additions in Derby Street and Hotel Street . 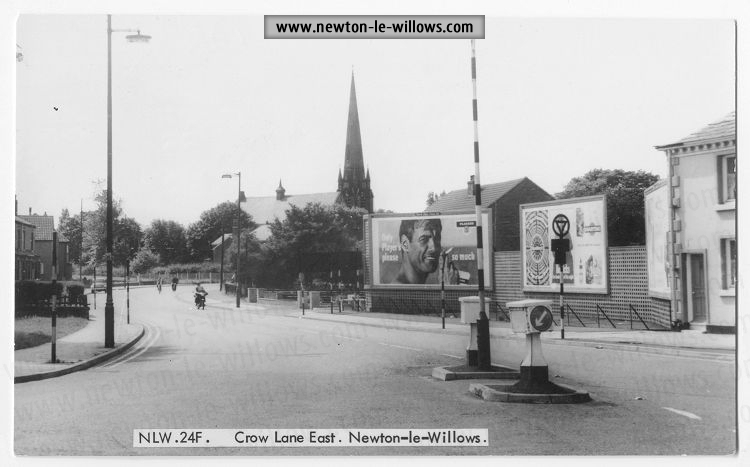 Crow Lane East too, has seen big changes in the addition of the Library, the Technical School , All Saints Church, and many dwelling-houses, besides the new Council Housing estate which will contain almost 1,000 houses before it is built up. 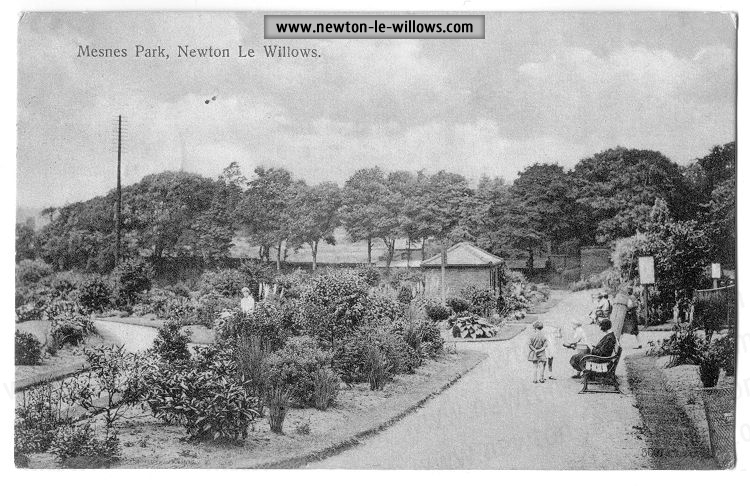 In Newton there have been many changes such as the entire building of Birley Street and many new houses in Mercer Street , Rob Lane and Ashton Road . But the sedate High Street still retains its quiet old-world charm as it always did, and I would be very sorry indeed if its beauty which is the admiration of thousands, who pass through, was spoiled by modernising. 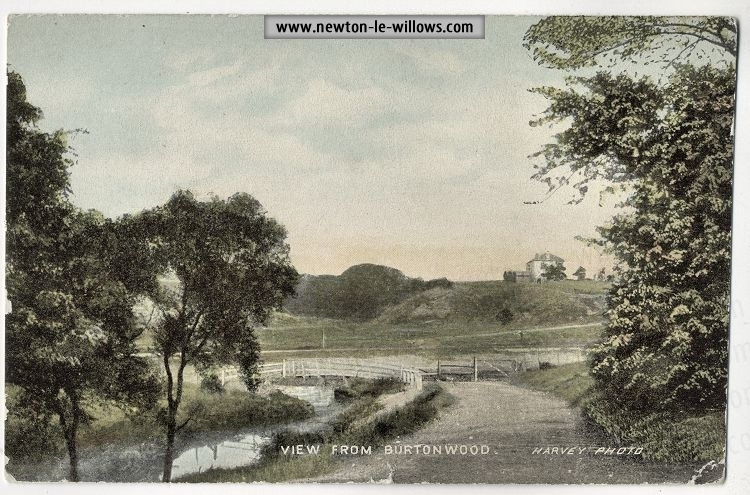 The Council has recently acquired the beautiful estate known as the Willows and opened it for the use of the public, and although it has been allowed to grow wild for a number of years, after a little culti­vation and attention, it will be difficult to find a prettier spot in this fair land of England . 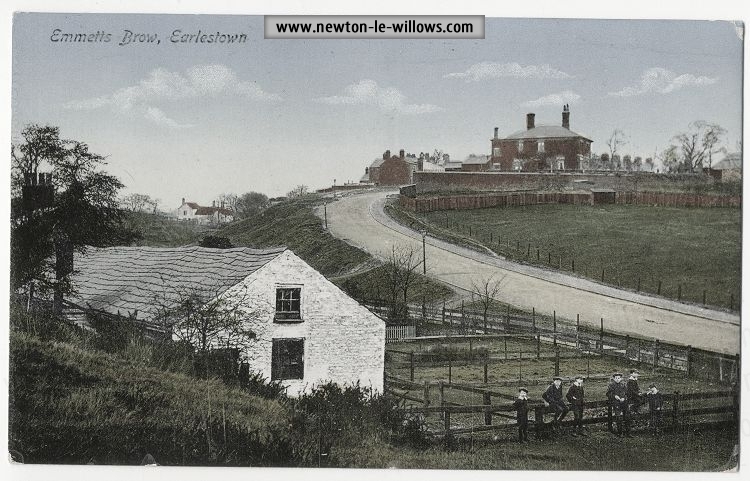 I think my readers will realise that the Earlestown and Newton of to-day is about twice the size it was in 1890.
from a publication printed sometime in the late 1940s.